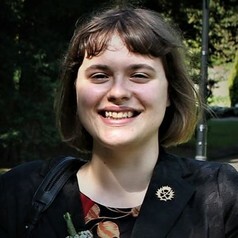 Katie Lamb performed her PhD (2013-2017) under the supervision of Professor Michael North at the Green Chemistry Centre of Excellence at the University of York. Her PhD thesis was titled "Investigating Alternative Green Methods for Carbon Dioxide Utilisation and Carbon Capture and Storage". She is now a postdoctoral research associate at the same institution, performing research into a Royal Society funded Global Challenges Research Fund (GCRF) project, investigating the development of new, commercially viable catalysts for the synthesis of cyclic carbonates from epoxides and carbon dioxide. She is an associate member of the Royal Society of Chemistry (RSC), and is a current member of the CO2Chem network. Her research interests include green chemistry, metal catalysis, and carbon dioxide chemistry.